Energy is fundamental to the lives we want to live – free, safe and healthy, with broad opportunity. Delivering the natural gas and oil that powers and supports modern living means doing so with lower emissions and improved products and operations. 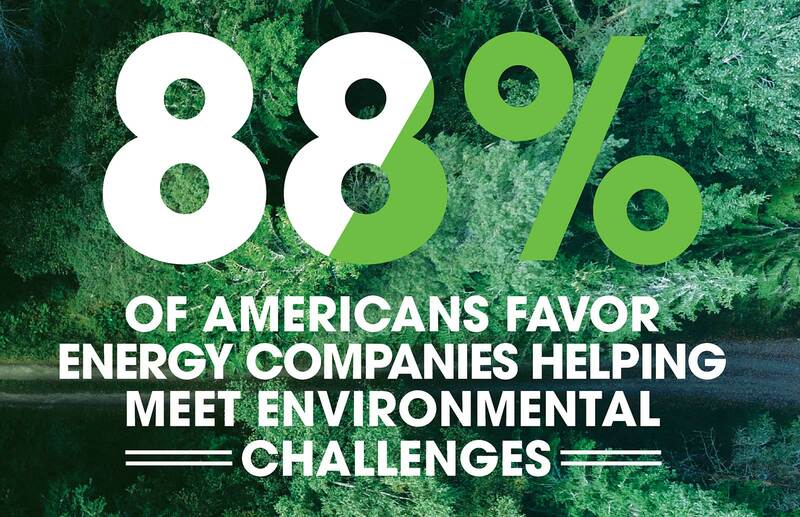 In all of these, industry is helping lead the way. Cleaner operations, facilities and products – all are part of the natural gas and oil industry’s commitment to improve its environmental performance and accelerate society’s climate goals while producing the energy required by a modern economy. Developing natural gas and oil is an industrial process, yet its impacts can be managed using advanced technologies to protect the environment, our workers and the communities that host our operations. For example, industry is highly motivated to use a variety of technologies to capture more and more methane during production that can be delivered to consumers as natural gas. Increased use of natural gas to fuel power generation is the No. 1 reason U.S. emissions of carbon dioxide have fallen to levels not seen in more than two decades. U.S. refiners are producing cleaner gasoline and diesel fuels which, coupled with advanced vehicle technologies, means today’s new cars, SUVs and pickup trucks are about 99 percent cleaner for common pollutants than vehicles in 1970. Cleaner fuels played a significant role in a 73 percent reduction of the six Clean Air Act Criteria Air Pollutants between 1970 and 2017 – even as vehicle miles traveled increased 189 percent. 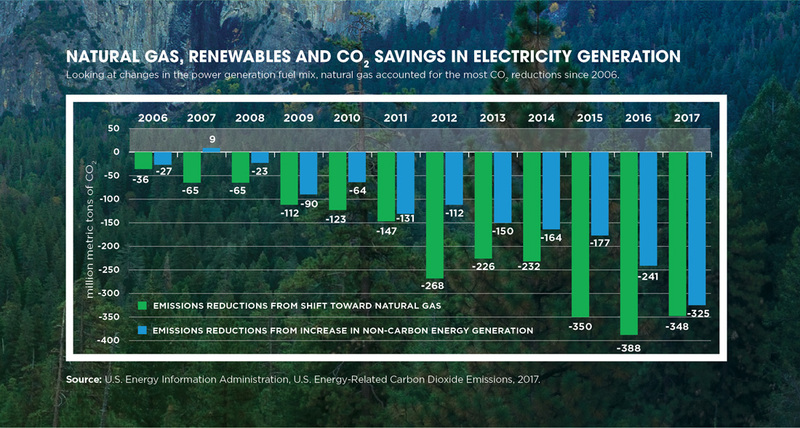 The increased use of clean natural gas in generating the nation’s electricity – in many cases replacing coal-fired generation – is the leading reason the air Americans breathe is cleaner today than it has been since the the turn of the century. Technologies – including more advanced leak detection equipment – helped decrease methane emissions from natural gas systems 16 percent since 1990 while natural gas production increased more than 50 percent. The Environmental Partnership is helping galvanize the continuing effort to reduce methane emissions through learnings and collaboration.